HG Logistics News How Do You Define Leadership? I have been given a tremendous privilege and responsibility in writing blogs for HG Logistics LLC’s web page, a third party logistics company and freight transportation broker located in Cincinnati, Ohio. I have also been given much freedom in choosing what to write. In no way would I want to abuse or misuse that freedom, so I think carefully about what to say. However, I like to write from experiences because that is where life is lived and lessons are learned. While visiting the campus of Purdue University on a frigid winter day, I came upon two young men chipping away thick ice on the sidewalk next to a fraternity house. Thinking they must be underclassmen who had been assigned the tough job by older fraternity brothers, I said, “They didn’t tell you about this when you joined, did they?” One looked up with a smile and said, “Well, we’re both upperclassmen. I’m the fraternity vice-president and my friend here is the president.” I thanked them for their hard work and went on my way having been reminded that serving others is the mark of a true leader. I must confess, I have not always associated humbleness with leadership, but the more I thought about it, the more I appreciated the idea. Somewhere along the line, I had come to perceive leaders as those who are calling all the shots, giving the orders, and telling everyone else what to do. I don’t know if anyone else has developed this same erroneous image of leaders, but after reading what David McCasland had to say about the mark of a true leader, I had a paradigm shift in my way of thinking. I then became curious as to what other sources might say about leadership qualities, so I did a little research. What my research turned up is that those sources too refer to “humbleness” as a key characteristic of a good leader. However, they do not call it “humbleness,” but instead they refer to it as “commitment.” As they expressed, one of the greatest employee motivators is seeing the boss working hard alongside of them to produce quality services and products. They also stated this as a key element in gaining the respect of your team. As I continued to ponder this whole leadership idea, my focused shifted to Webster’s definition, which stated: “A leader is one who guides the way.” This definition really struck a nerve with me because according to what it says many of us are leaders. What is scary is that we are oblivious to the fact that we are leaders, and leaders have a tremendous responsibility. I have never considered myself in a leadership role, but Webster has taught me that this is not always true. What many of us don’t realize, or we simply forget, is that there are little eyes and hears watching and listening to us, and they are following our lead. My two year old granddaughter convicted me of this truth just the other day. She called me at work and proceeded to tell me that she was putting on her makeup so she could come to work and get money. I asked my daughter, “Where did she come up with that?” My daughter replied, “From you. Whenever Lyla ask why you are at work, you reply that you go to work to earn money.” In other words, I have “guided the way” for my granddaughter to think that work is all about money. Although money is a key factor, by no means should I be teaching her that it is the only reason. Hopefully, it is also because you enjoy your work and the contributions you make to the company and to society as a whole. Well, Lyla and her mom did end up coming to my work that day to pick me up, and they stopped in for a quick visit. I told my manager what Lyla had said earlier about getting money, and he immediately whipped at a $1 dollar bill and gave it to her. She was so excited. She did not let go of it all night. Now, not only do I have to teach her that money isn’t everything, I will have to teach her that the normal protocol is that you perform some type of work before you get paid. 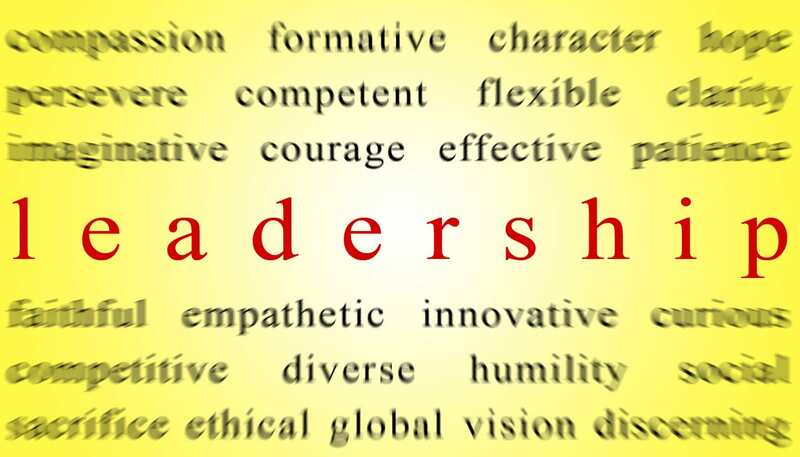 The more and more I think about leadership and what it is, the more multifaceted it becomes because it entails so many concepts and characteristics. However, I walk away from this whole experience, convinced of two things: First, leadership is a growth process, and we all eventually end up leaders in some capacity or another. Secondly, I agree with David McCasland that an effective leader starts with a humble spirit.